The Rocket Headset VH6210 wireless headset comes with DECT 6.0 technology for interference free communication, enhanced security and wider range. The device is is designed to be worn as a headset to answer incoming calls with a corresponding DECT 6.0 telephone. The VH6210 can adjust to the needs of more than one user and be worn over the ear and over the head. It filters out unwanted background noise for the highest possible audio quality. The headset is lightweight. 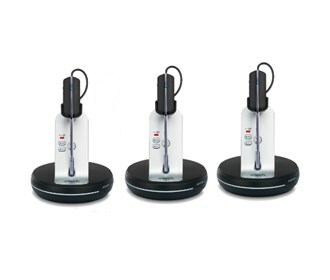 The VH6210 (3-Pack) has many exciting features for users of all types. It's one of FactoryOutletStore's best selling . See the VH6210 (3-Pack) product video and gallery images above for more details. The VH6210 (3-Pack) is sold as a Brand New Unopened Item.